Eden Prairie, MN based Wilkus Architects is proud to announce their second official Wingstop location has opened in Manteca, CA. The award-winning chicken chain recently opened a new location at 1342 E Yosemite Ave in Manteca, CA. This location among many features the iconic Wingstop design package including high ceilings, exposed ductwork, and unique decor package to make you feel part of the concept. The menu features classic and boneless wings, chicken strips and Glider sandwiches – all sauced and tossed in 10 intense flavors. Homemade side dishes include fresh-cut seasoned fries, made daily from Idaho potatoes, baked beans, coleslaw and potato salad. Wingstop is proud to have sauced and tossed two billion wings and we look forward to serving up a billion more. 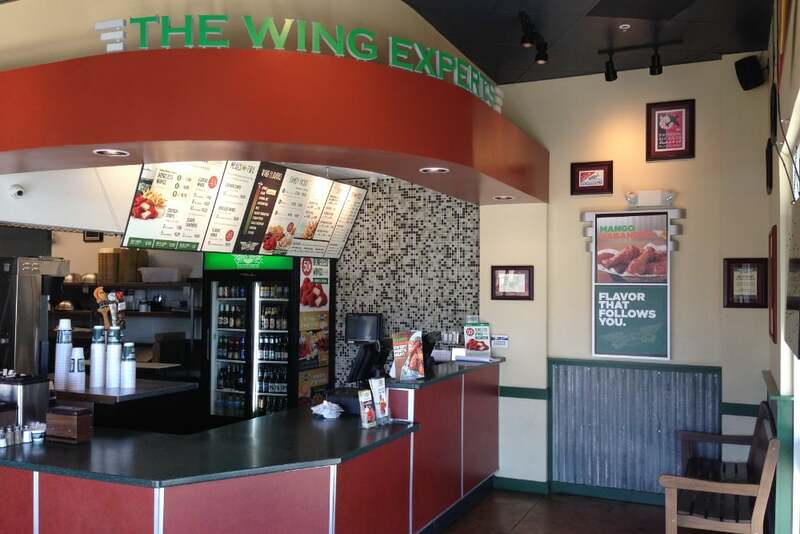 Wingstop of Manteca is open from 11 a.m. to midnight daily. To place call-ahead orders or for more information, call 209-824-9464 or use the Wingstop phone app. For online orders, or to locate the nearest Wingstop, visit www.wingstop.com." - Wingstop Restaurants, Inc.